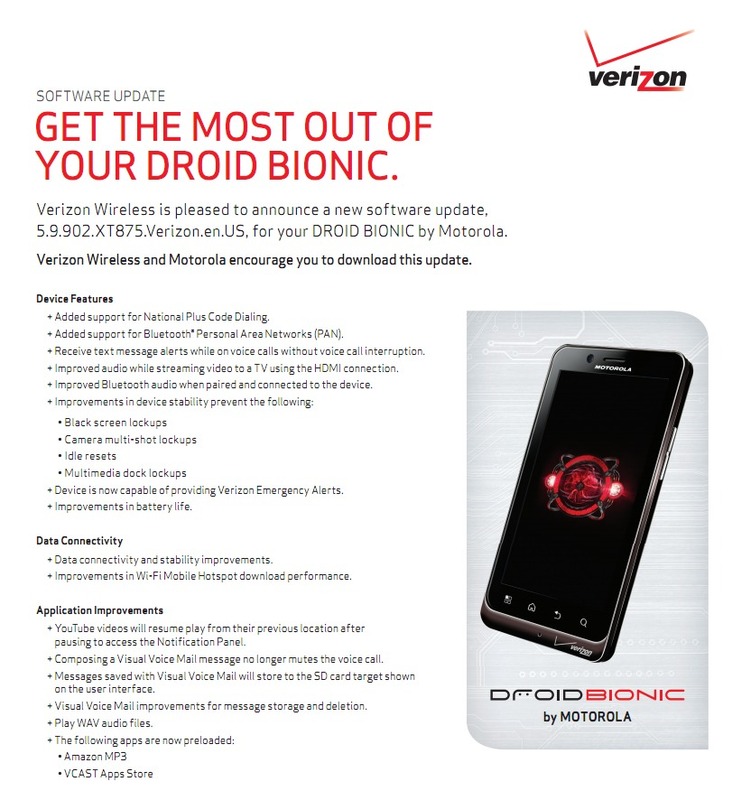 Two days ago, Motorola announced that a new update was headed to the DROID Bionic. We assumed that it was the 5.9.902 update that our sources tipped us off about a few weeks back, and sure enough that is exactly what it is. The update will introduce a couple of pieces of bloatware, but most importantly will make the device more stable – something that Bionic uses have been asking for from day 1. Black screen lockups, camera issues, idle resets, and multimedia dock freezes have all been addressed. Oh, battery life should also be a tad better. The update is 57.6MB in size. Be sure to let us know when it pops up on your device. Update: If you a part of the Motorola Feedback Network and have registered your Bionic or soak tests, you should be able to pull the update now.